Ultra Marathon Running: The NorthFace 100km – a volunteer’s perspective and why you should be at volunteer at an Ultramarathon too. The NorthFace 100km – a volunteer’s perspective and why you should be at volunteer at an Ultramarathon too. 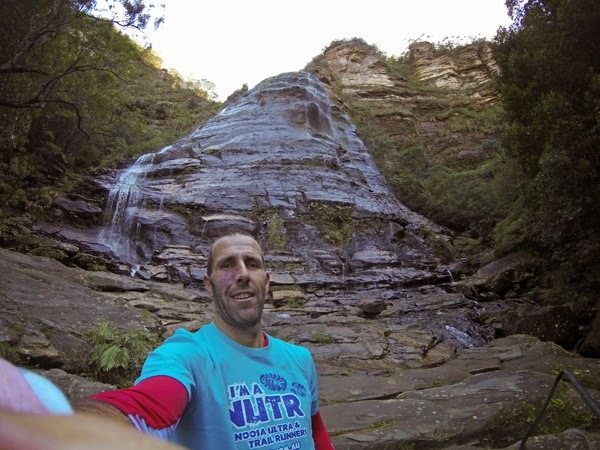 The North Face 100, in the Blue Mountains, Sydney, is a favourite Ultramarathon of mine. 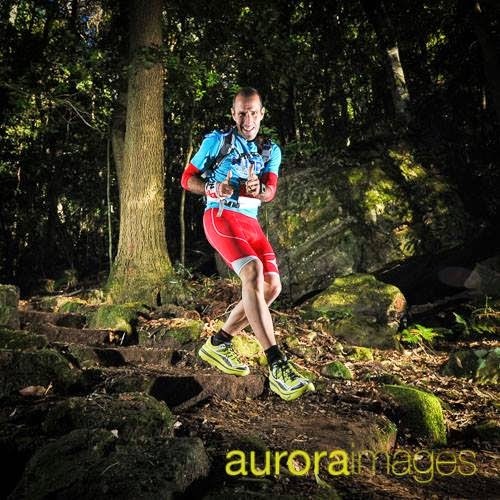 It was my first 100km race, and the even where I have had my best run in an Ultra. 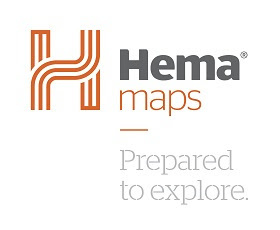 I had the opportunity to get involved with this year’s event, not racing, but as part of the band of volunteers who make this and all ultra events work. I was part of a group of about 8 who were to sweep the course, marking the back of the field, helping any stragglers, and keeping the race directors informed of what was happening out on the course as part of their safety protocols. My role was to sweep the first 28kms of the 50km event to Checkpoint 5, and then sweep the final 22km of the 100km event from there through to the finish line. I had the option of spending all day and night at the CP, or to go away and come back in the morning for my second “shift”. I opted to stay at the checkpoint as I had many friends running who I could cheer on, but also to observe how the entrants throughout the field from fastest to slowest perform and behave differently. It was a rewarding experience, the essence of which I hope to share with you. I won’t go into the individual stories of incredible fortitude, endurance, tenacity and of course madness! There have been many stories already about these from this year’s race, so I won’t bore you with my version of these events. As a volunteer, you are a representative of the race directors, and I felt it my role to make everyone welcome, and to have a good time, much as you would expect in a hotel or restaurant. This started for me on the night before the race, where we helped with the gear checks at Registration. I was cheerful and cheeky, and eager to help anyone I could. 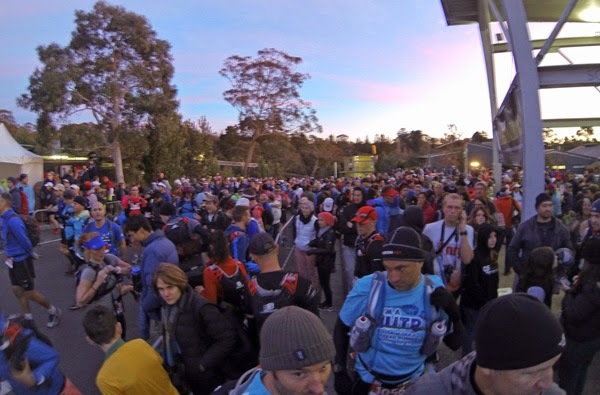 The North Face 100 is well known for having one of the largest mandatory gear lists of all Australian Ultra events, and it does cause a fair bit of forum chat and much grinding of teeth for many entrants who find themselves having to purchase a significant amount of new gear, which in their mind they will never use. I fall into this category, and have thermals and a jacket from my first TNF100 5 years ago which have never been used (but they are well travelled!). With the gear check we had to be very strict on all the gear being provided, as well as of the right standard. I was expecting to have to be called names and given a hard time by runners whose gear didn’t meet the requirements. Fortunately, a smile and an explanation that it is in their interest to have it in case of injury which could be in the middle of nowhere in sub zero temps and raining, was enough for most to accept. You would only need one person falling very ill (or even dieing) because they didn’t have the gear on them after a fall and injury for the future of the event to be jeopardised. This has been highlighted recently as the impact of the fire during the Kimberley Ultra a few years back, has changed race directors’ attitudes to holding events in the bush during fire risk season. Gear check and Rego done, and everyone happy. The insight for me was the volume of behind the scenes work that is going on. Hundreds of people to coordinate to keep thousands of runners and their supporters safe. No small task. Race morning was fantastic. The atmosphere is buzzing, and I can enjoy this without the preoccupation of having to race 100kms! No worry if I’d trained properly, or would the injury hold out, or should I put honey sandwiches in my drop bag for CP2 or 3?! As a volunteer you get a lot of the good stuff without too much of the hard stuff. We’re given radios to keep in touch with race HQ, and with the mountainous terrain of TNF, this was vital. Mobile phones could not be relied on, and in fact neither could radios in some places. The final runner in the final group of the 50km race is off, taking on the biggest challenge of their life, the coming together of many months of training and metal preparation. I was well aware of this, and wanting to do what I could to make it memorable, and to make sure they succeeded. I following a couple of minutes behind the field, and I’m still given a big cheer from the guys on the PA system as I got on my way. “See you tomorrow” I thought to myself! Finally off and rugged up! With generous cut offs to the checkpoint, I’m under no pace pressure, so take the opportunity to stop and chat with nearly every marshal (mainly made up of local TAFE students) – They all had one thing in common...they were freezing! At least I could move around a bit to get warm. The early stage of the TNF has a road section to thin out the field before they hit the single track. These include a few out and backs, so you get to see the other runners. I’m doing my best to cheer everyone along with comments such as “Come on smile...you’ve paid for this, you may as well enjoy it”. I thought it encouraging at the time, but reading it now feel it may not have been received as such! Within the first Km I have caught the back of the field and we’re walking. I wasn’t sure if I should let the back markers know I was there, as I didn’t want them thinking I was rushing them! Sadly the first girl I caught up to wasn’t very happy, with bad stomach cramps. My thoughts were that it could just be anxiety, and excitement from the race day arriving, and that it could just settle once we get into a rhythm. I tried this tactic for an hour, but it was clear this was more than nerves. My first withdrawal, and we were only 5kms in. During this time I had dropped off the pace somewhat, so put in a bit of an effort to catch the back of the field. It is here that I experienced the real benefit of the radio. I was so far behind the field that the marshals had understandably gone to find warmth. Through my own poor preparation I had failed to notice the difference between the 50km and 100km route. So 8kms in and I hadn’t caught up with anyone, or seen anyone ahead. I decided to call in with a “navigational enquiry” as I wasn’t sure which or the two staircases I was to take to get into the valley. A few minutes later and I was on my way, I was already on the right track. I catch the last runner just off the bottom of the staircase, and no amount of noisy walking, coughing and heavy breathing can be heard over her head phones! I have written about the safety implications of this before, but why wouldn’t you want to appreciate being in the middle of a World Heritage area using all 5 senses? A few hundred metres further down the track and I can see the twinkling light of a runner wrapped in a silver mylar blanket (yes, the one that so many people complain about having to have in their gear!). This runner has had a seriously bad fall smashing her knee and her wrist. Fortunately another runner came across her a few seconds after the fall and had called in for first aid support. They were on their way, but would be another 30-40 minutes until they arrived as access isn’t easy anywhere in this section. I do my best to keep her comfortable, try to distract her from the pain with idle chat, and from my radio can hear the chat going on, as the first aid team make their way in. This was at about 9am, and it wasn’t all that cold, but even with the space blanket she was getting cold. Just imagine if this was 3am, you’re wet with sweat, its 2 degrees and you have an hour wait for help. The reason that the gear is mandatory was right in front of me. I stayed to give the first aid crew an extra pair of hands before returning to my Sweeping duties. I later learnt (overheard the radio) that she was being taking to hospital with a suspect broken wrist, and I wouldn’t have been surprised if her knee was too. The First Aiders radioed in before administering any painkillers to make sure that she had no known allergies to the drugs they had. They did ask her also, but they know that under shock she may not be thinking clearly. Another illustration of the importance of completing your medical form carefully during race registration, and also how vitally important it is to only ever run on your own race number (unless of course you’ve had it transferred to you officially before the race). Listening in to the radio gave a real insight into what is required to make an event of this size keep working and working well. 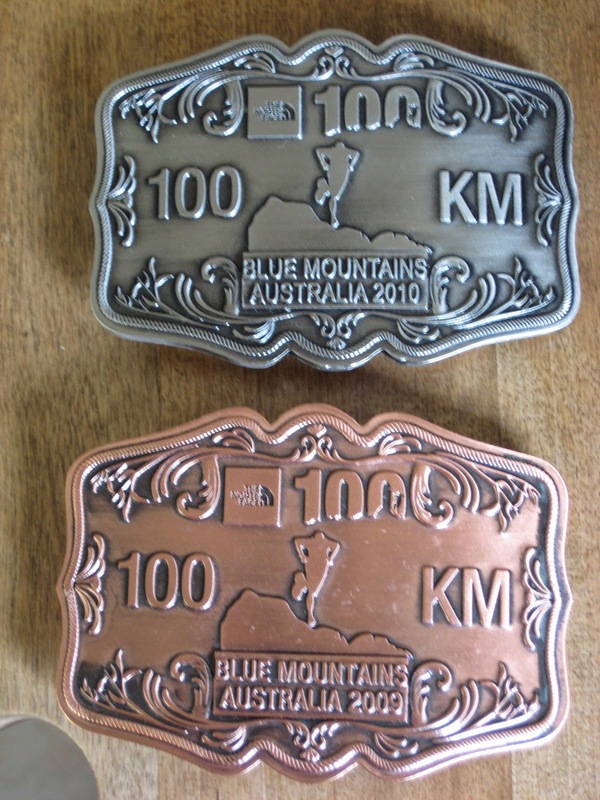 There were multiple injuries that needed assistance, numerous runners withdrawing for one reason or another (all of whom have to be accounted for), checkpoints that need to be kept supplied with water, lollies and volunteers, as well as updates on the overall extent of the field, spread over 100kms of trails. No small task, and most of which will never be seen or appreciated by the average racer. The next runner I catch up to is a 72 year old man, running his first ultra, having already got 5 road marathons under his belt. He as suffering badly with cramps in both legs. This was 12 kms in...it could be a long day for him. He was prepared and I would say keen to withdraw at the 13.5km water stop. I couldn’t have him do this so early on as he had trained hard to be there, and the leg cramps may clear up as they have done for me in the past. We chatted about it, we were still within the cut off time, and if we could continue at this pace could reach the next CP in time to continue. Then we could reassess his position. The next few kms went well and we enjoyed each other’s company in some spectacular scenery, under waterfalls, through deep gullies and then up on breath taking escarpments. The trouble with this sort of scenery is that it comes with hills, lots of them. Our pace slowed and it was clear that the cut off was out of reach, but we would try and push through. At the 20km mark I could hear a road nearby, and decided that it was best for everyone if he withdraw at this point, and I radioed in for him to be picked up on the road. What I admired about this guy was that he took it all as a learning experience to do better next year. He actually came and find me the next day to express his appreciation for me pushing him on as far as I did, and that he’d be back wiser and stronger next year. This was a massive reward for me. I little further down the track and I was with the back marker again. The lead runners from the 100km event had just started to pass us, looking like they were doing a 5km time trial, not 70kms in! Simply amazing to watch them run so freely, even the uphills! The clock was ticking faster than the distance to the checkpoint was decreasing and it became apparent that the couple I was with were not going to make the cutoff. 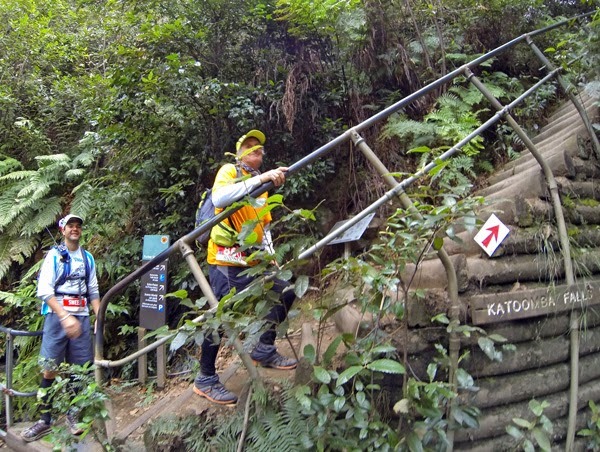 Bad blisters, and an underestimation of the severity of the steps in that section had put an end to their race, and there was nothing that could be done about it. I think they were happy to have missed the cut off to avoid making the decision to carry on when physically in a bad way. So in terms of my formal duties by arriving at the CP, the first half was over and I only had to wait until 4:30am tomorrow for the next leg. What was I to do for the next 14 hours? Well it wasn’t going to be rest as I had thought may be the case. The 100km runners are already coming through, so I get involved helping out finding drop bags. A side note here, make your bag distinctive. Some bags (the blue supermarket cool bags) took 2 people 3+ minutes to find, even when they had been separated into 100’s based on race number. Sitting each runner down (if they wanted to) I found myself adopting a support crew role. What do you need? Let me refill you bladder, how much, with what? So many people were polite and said it’s ok, I’ll manage. I had to make myself clear that I knew what they were going through (having been there myself) and that I was going to help if they liked it or not! I must have refilled over 100 bladders and many more water bottles. Through one period it was touch and go if those coming in would make it to the finish in time for a silver belt buckle (for going sub 14 hours), which was a goal for a lot of people. I was able to offer a good bit of help here as they weren’t in a state to think that clearly. By letting them know a simplified version of what laid ahead in the final 22kms and the time they had, seemed to lift spirits and more importantly give them focus and purpose to get back out there and reach their goals. As the day drew longer the runners coming in changed in their physical and mental state with tiredness and sleepiness kicking in. These guys had been on their feet for over 12 hours and on many it showed. One runner had some muscular pain in his ankle, and was going to withdraw. I had a chat with the now very busy medical staff, and they suggested I give it some “love” as it wasn’t anything too serious. So while the runner was enjoying some noodles I went to work on his ankle. I’m no physio, but have had enough to know roughly what may help, and did my best. Coincidentally my training partner and physio who had been forced to withdraw earlier was helping some other friends by crewing for them at the same CP. I’ll let her know what I was up to, working on unknowing runner with her second hand techniques. Whether it was placebo, just the rest, the noodles, or my magic hands (?! ), he got up and felt better and continued in the race. It’s a very satisfying feeling to see how you’ve helped someone when they could well have pulled out only to regret it the next day. I know I’ve been there, and it’s not a good place to be. Would you accept a rub down from this man?! With growing confidence I ended up “treating” another half dozen ailing runners, including one French guy who didn’t speak any English. Through sign language I worked out that he needed water in his bottles, a cup of tea, and a quad massage – well that’s what he got anyway! He also got a 10 minute sleep under a blanket with a wake up call before heading out again into the darkness in pursuit of a bronze belt buckle for a sub 20 hour finish. At this late stage there were a number of tired and minor injury effected runners who were teetering on the edge of withdrawing. I can happily say that each one that I spoke to at the very least kept going, and I believe they all finished. I’ve had Facebook messages from strangers saying thanks for getting them back out there, and one saying I nearly made her withdraw as she was so comfortable with her blanket and tea that it was hard to leave! The real point I’m making here is that when we’re tired and mentally drained, you don’t good decisions, and you react based on emotions. What they needed at the CP was a chance to recover, a hit of reality, and basically be told what to do! They will have trained hard to be there. They will have a strong drive to finish (else why would you enter?). But these thoughts are a long way from the front of your mind when you have sore feet and feel nauseous! My strategy was to assume they were depleted nutritionally and probably under-hydrated, so get them drinking something (ideally warm when it was cold at night) and that until this had been addressed they would not be able to think straight. In that time I would have a chat and remind them why they’re there, and that today is only time they can do what they have to do...carpe diem! Not only that, but that all of them had plenty of time to finish the race, even if they were to walk the last 22kms (and many did). This was highly successful and I believe got them doing what they wanted to achieve. For anyone who has run an ultra you will know that you go through massive highs and lows, and checkpoints can be like the twilight zone, which some people never leave! The number of runners coming through slowed to a trickle after midnight, so I took the opportunity to have a lie down myself. About 45 minutes under a blanket in a cold, drafty corner of a tent, perfect! 4:30am came around and I met up with the other sweeper as there were to be two of us for this leg. The final two runners has been on their feet for some 22 hours already and had another 6 to knock off the final 22kms. Which they did. Huge respect for these guys to keep on going, on what must have been one of the longest day of their lives. This probably wasn’t helped by the rest of the sweeper crew running back to meet with us and walk in the final 6kms together, full of beans, bad jokes and fresh legs! The last section is a climb of 900 steps before a 100m sprint (!) to the finish. To be alongside the final runner through this stage, who I knew was in a world of pain, but he still kept putting one foot in front was awe inspiring. The presentation was just starting when the crowd had to part to let him finish. The only sport I know of where the last racer gets as big, if not bigger appreciation than the winner. We were invited to join him on the stage as a gesture of thanks. I thought this is the only time I’m going to get on the podium at an Ultra! So in essence it was an incredible experience, and one I would recommend to anyone who takes part in this amazing sport. I got to see all ranges of success and played a small part in the success of a few – probably more rewarding than actually doing it yourself. I have a deeper appreciation of what it takes to put on an event and will do my best to be even more openly thankful to those who do give up their time to make events work. Hope to see you out there serving tea, giving directions and offering well intentioned massages!